“Paddle” was invented in 1962 at Las Brisas, a house owned by Mr. Enrique Corcuera in Puerto de Acapulco, Mexico. The size of the court was approximately 10 metres wide and 20 metres long, reflecting an idea that Mr. Corcuera had devised at his house in Estipac, Jalisco, where he used to organise big duck hunts with his friends. In the afternoon, before lunch, they would play in this traditional fronton court that he modified with walls and a tennis net, and already had the current official size. However, the “official story” (shared by Enrique himself) ignored the fact that the wall facing the original one was built to avoid the small black ball used in the game to bounce into the neighbours’ house after crossing the defensive line, turning it into an annoying game. It was funny and witty to see that, after the ball crossed the defensive line and bounced off the second wall, the players would keep playing, which became the origin of the game. It was Enrique’s idea to add the net, thus creating this new sport. Therefore, we can claim that this game called Paddle Corcuera or Paddle-Tennis is what is currently known as padel. The first rulebook was put together by Enrique’s wife, Viviana, former Miss Argentina, who gave it to his husband as a birthday present. Padel was then introduced in Spain in 1970 by Prince Alfonso of Hohenhole, who built two courts in his Marbella Club Hotel. He had spent summer holidays at Corcuera’s house in Acapulco, where he had the chance to play. While keeping the main characteristics, Prince Alfonso introduced several changes on the courts, including wire fence on the sides, instead of walls. In the 80s and 90s, these courts held the famous “Pro-Am” tournaments, sponsored by the shops “Smith & Smith,” from Las Arenas, a neighbourhood in Bilbao, Spain. These shops were owned by Mr. Julio Alegría Artiach, considered one of the most prominent figures in the history of padel for his vision, promotion, investment and life dedicated to the institutional management of padel. These tournaments were instrumental for the expansion of padel across Spain, and thus across South America. The games where a pro player and a celebrity teamed up were featured in the main Spanish magazines, such as “Hola” or “La Semana.” Famous artists, aristocrats, politicians and sportsmen often took part in these tournaments. Some well-known figures are Enrique Iglesias Preysler, Patxi Andon, Antonio Ascensi, the Duke of Borbon, Olivia Valere, Princess Bea Ausberg of Austria and her sister Sonia, Princess Zora of Morocco, Manuel Santana, Countess Cristina Perlac, Luis Ortiz, Gunilla von Bismark, Espartaco Sartorius, José Lata Liste, and many other celebrities. To continue with the story…Club Puerta de Hierro, in Madrid, built its first five courts. A few years later, La Moraleja (a residential area on the outskirts of Madrid) and its Golf Club became a centre with high-level players, managed by the famous Rafael “Fali” Silvela, one of the leaders behind the creation of the International Padel Federation. Padel started spreading to other countries, mainly through friends, businesspeople and members of the jet set. The future started to look bright for padel. It arrived in Argentina in 1969. Marbella, an international high-end tourism destination, hosted many Argentines, who became familiar with this new game. It did not take long before they built the first courts in Argentina. People like Julio Menditeguy, Nelly Arrieta de Blaquier, Dino Montuschi, Willy Gainza Paz, Ignacio Viale del Carril and Roberto Rivera were frequent summer tourists in Marbella. The first courts in Argentina were built at Club Tortugas, Mar de la Plata Ocean Club, Tedy Pini’s Hotel on the cliffs, Blanquier’s family Estancia la Biznaga and Menditeguy’s family Haras Vacación and El Turf. An indoor court was built behind the restaurant La Marca de Playa Grande (Mar del Plata). Courts also started to be built in private households. For 10 years, padel was only known among the few people who spent their summer holidays in the Marbella Hotel Club, visited Corcuera in Acapulco, were members of Ocean Club or Club Tortugas, or played in friends’ houses. San Juan Tennis Club was opened in Buenos Aires, with 8 tennis courts inside a vertical building. Following the suggestions of founding members like the Aubone brothers, the club built two padel courts that became a landmark in the development of Argentinian padel. In the summer of 1983, Zorba spa resort in Punta del Este, Uruguay, became a sports attraction due to the features of the game and its well-known participants, such as Ricardo Cano, Roberto “Cacho” Aubone, former members of the Argentinian Davis Cup team, junior players like Eduardo and Roby Gattiker, one of the best Argentine players of all time. These were entertaining matches that amused visitors at the spa resort. Sports and social press did not ignore this new game. As padel grew popular, major businesspeople and sportsmen started to promote and support this new game, organising the first events and attracting renowned sponsors. National newspapers and magazines like La Nación, Clarín and El Gráfico covered these events. In 1984, Club San Jorge was opened in San Isidro. With 14 padel courts, it became a meeting point for the best Argentine players. Padel started spreading to the main cities in the region of Buenos Aires, San Pedro (capital city of La Plata), San Nicolás, San Isidro, Bahía Blanca, Trenque Lauquen, Mendoza, Rosario, Paraná, Corrientes, Bariloche, Neuquén, as well as to the Atlantic coast, where remarkable facilities started to be built. According to the records, in 1987, an assembly meeting led to the creation of the Asociación Platense de Paddle (APPTAS), the first official institutional body related to padel founded in the world. In 1988, a group of friends led by Oscar “Cacho” Nicastro found the Argentinian Padel Association (APA), managed by its founding members Alberto Villaverde (first President), Jorge Horacio Brito, Costancio C. Vigil, Mauricio Macri, Oscar Nicastro, Joaquín del Molino Torres, Jose Luis Abuchdid, Julio Cesar Pérez Corral, Diógenes de Urquiza Anchorena, Gustavo Maquirriain, Guillermo Stanley, Arturo Carlos Toro, Miguel Alonso, Fabián Ranucci, Carlos Iñurrigarro, Juan Carlos De Marco, Cecilia Bacigaluppo, Héctor A. Salvat, Gregorio Ignacio Sanz, Julio Ratti, Héctor G Arribas, and Fernando Garcia Pulles, all of them prominent figures and passionate padel players. Their goal was to create an association representing the sport, presenting its philosophical and technical goals and its rules, and planning and managing the development of padel in Argentina. It aspired to be a leading association for this sport at the international level. As regards to the Spanish Padel Association we point out a curious note: the association was registered using the acronym P.A.D.E.L., corresponding to the following meaning: “promoción de actividades deportivas, educativas y lúdicas” (promotion of sport activities, educational and playful). In 1997, in Barcelona, rules were unified and the game was officially named Padel. Return volleys were allowed, sharp corners were removed and the wire fence was set at 3 meters in height around the whole perimeter. There were no norms regarding the surface, and materials were left at own discretion. In the first years, one could find courts with artificial and natural turf, synthetic materials, concrete, parquet, tiles, and even clay surfaces. Nowadays, most surfaces are made of artificial turf and concrete, painted with specific products for sporting facilities. Taking advantage of the rapid growth of Paddle in Argentina, the brand Sport Connection, in partnership with Tonio and Cacho Nicastro, organised the first international tournament, made possible by their connections in Spain. The First Match between Spain and Argentina included a team led by Don Rafael Silvela and formed by the 16 best players in Spain at the time. Thus, a bilateral relationship started, allowing Spaniards and Argentines to develop paddle outside their countries. ESP-ARG matches were organised on a yearly basis. In January 1998, the first Spanish national team was invited to Argentina, playing in Buenos Aires, at Forum Mar del Plata and Quen Ann spa resort, in Playa Mansa, Punta del Este. In late August 1998, the first team of Argentines travelled to Spain, playing in Bilbao, Madrid and Marbella.  It became clear that Spanish and Argentinian padel would take the central international position in this sport. According to the records, the Spanish delegation was formed by Rafael Silvela, captain and manager, and players Juan Fontán, Javier Arenzana, Santiago Arpón, Jose Segismón, Miguel Goizueta, Arturo y Carlos Jiménez, Fernando y Javier Sartorius, Manolo Lezon, Antonio Cavero, Pedro Vernis, Joaquin Not (“Chechu”) and Julio Alegría. A women’s team was also created, formed by María, Ana and Sofía Silvela, and María Wakonigg. Some members of the Argentinian team were Ricardo Cano, Alberto Pizzolo, Willy Barrera, José Luis Abuchdid, Manuel Caracotche, Javier Maquirriain, Pequeño Quintín, Guillermo Caporaletti y Severino Iezzi. The women’s team was formed by Adriana Costagliola, Virginia Mazzuchi, Daniela Alvarez, Liliana Patrón and Cecilia Baccigaluppo, to mention a few. This marked the start of matches between Spain and Argentina, which went on for 3 years. In the 1980s, the success of padel in Argentina, both as a sport and as an opportunity for business, and in Spain, where it found strong support from sports institutions, started to spread to other countries. One main factor was that padel, compared to other sports, succeeded in integrating women, the elderly, families, children, as well as passive and handicapped individuals. Padel created a good social environment, and promoted healthy and active habits. It became a widely inclusive game, as well as a dynamic and attractive sport to watch. Padel started its expansion to other countries. Courts were built in Brazil, Uruguay, Chile, France, the United States, Canada and Italy. Many were attracted to this sport, lived with passion and fury in Argentina, and associated with prestige and exclusiveness in Spain. In 1989, in Argentina, a design from Platense coach Jorge Galeotti would be a game changer for padel and its international expansion…CRYSTAL PALACE, the first detachable and transportable glass court. It was first used in Mar del Plata, with tremendous success, thanks to the wider TV coverage of padel at this time. Now, viewers could see 100% of the court. Thus came the age of travelling padel, as the court could be set in any outdoor or indoor facility surrounded by stands for massive crowds. In 1991, padel was considered the second most popular sport in Argentina, only after football. This was evident in sports shops, where it became a best-seller. In April 1990, the first Mexican delegation, landed in Ezeiza Airport (Buenos Aires), headed by Mr. Enrique Corcuera, the creator of padel, and his wife Viviana Dellavedova de Corcuera, along with players Jaime Romandia, Francisco “Paco” Fernández and his brother Mario, Germán Sordo Escalante, Luis Corcuera, Andrés Baños, Serapión Fernandez, Eduardo Sánchez Navarro, and the Reyes Varela brothers. They faced a mixed Argentinian team formed by Ricardo Cano, Eduardo Lúcete (h), Hugo Anzorregui and Jose Luis “Látigo” Abuchdid, among others. The event took place at “El Balcón” club in Buenos Aires, one of the legendary venues for padel of the city. This visit turned out to be of great importance. Back in Mexico, the delegation signed a commitment to develop padel, organising the first “Enrique Corcuera” tournament in 1991 at Villanueva Hotel, Acapulco, and the First International Tournament “Copa Corcuera” in 1992, at the Convention Centre of the Port of Acapulco. Players from Spain, Italy, Australia, Canada, the US, Uruguay, Brazil and Argentina participated in the event. Although padel was born in Mexico in 1962, it was not until 1991 that the Mexican Paddle Association was created, a move welcomed by all national and foreign players supported by Mr. Alejandro Burillo Azcarraga, a passionate player. On April 27 1992, the Mexican Paddle Federation was created. Among its members, we can mention Viviana Corcuera, Luis Corcuera, Ignacio Soto Borja and Alonso Cuevas. We cannot forget to mention the evolution of paddles. At the outset, Argentina imported models from American brand “Marcraft” used in “Platform Tennis,” different from padel, but similar for its court size and tennis ball. These were wooden paddles with a holed surface. Paddles evolved quickly. Their surface was increased and materials like plywood, aluminium, rubber paint and resin were used, evolving into the fibreglass that seemed to be the end of the road. However, technological development continued. Players and fans were delighted by paddles made of carbon and lighter yet stronger materials. “Signature” models became commonplace, increasing the value of paddles. Some models from the time were Coast “Roger Quintín”, San Conrado “Ricardo Cano”, Sola Belgique “Javier Maquirriaín” and “Alejandro Sanz”, and Ur.Ich “Alejandro Lasaigues.” Thanks to Ricardo Cano, the rubber paddle (with rubber at its core) made its appearance in big tournaments, boosting speed and power. The model made by S.A.N.E. brought padel to a new level. Since then, innovations have come quickly, always developed around synthetic materials. Today, we can find technological masterpieces. Currently, Spain and Argentina hold an advantage in R&D, marketing and design in the production of paddles, but the development of the global market has expanded production to several Asian countries. In 1991, from the meetings between Argentines and Spaniards and other events mentioned above, the idea of creating an International Federation starts emerging. On July 12 1991, in La Moraleja, Madrid, representatives from the Spanish, Argentinian and Uruguayan padel associations held a meeting. The Federation was created, and our dear friend from Bilbao, Julio Alegría Artiach, became its first president. During this meeting, members agreed on the rules for the first World Championship in Madrid in 1992, the finals being held at Expo 92 World Fair in Seville, Spain. Historical records mention a previous unofficial padel tournament held at Coconut Grove in Marbella, a venue later destroyed by the floods in the region. It featured amateur players from Great Britain, Norway, Finland, Spain, Italy and Argentina (all of them local residents). The team formed by Mac Dougall and Marcus Ludlow won the trophy. The finals of the first World Padel Championship were held in La Cartuja, an island in Seville. The “Crystal Palace” arrived days earlier from Argentina, becoming the first glass court ever used in Europe. National teams from eight countries participated in the tournament: Argentina, Spain, France, England, England, Italy, Mexico, Paraguay and Uruguay. Argentina won both men’s and women’s titles, defeating Spain in both finals. The World Championship contributed to the expansion of “paddle” (later called “padel”) around the world. The second World Padel Championship was held in Mendoza, Argentina. All players were hosted at the Ejército de los Andes Hotel, where courts and stands were installed. A total of 12 teams participated. Argentina, Spain, France, England, Italy, Mexico, Paraguay and Uruguay were joined by Brazil, Canada, Chile and the US. Argentina won the titles in both categories. The third World Championship was held at Club de Campo, in Madrid, in 1996. Twelve countries participated: Argentina, Austria, Belgium, Brazil, Canada, Chile, Spain, the US, France, Italy, Mexico and Uruguay. Once again, Argentina won the trophy. Spain came second and Brazil in third position. Uruguay, which had held the third position in the two previous events, lost its place on the podium. The winning doubles team was formed by Alejandro Lasaigues and Roberto Gattiker, winning their third title. In women’s, Cecilia Baccigaluppo won her first title, this time teamed up with Adriana Costagliola. In 1998, the World Championship returns to Mar del Plata, in Argentina, where Spain won its first title. Argentina, Brazil, Canada, Chile, Spain, the US, France, Italy, Mexico and Uruguay participated in this tournament. In 2000, France held the World Championship. Argentina, Belgium, Brazil, Chile, Spain, the United States, France, Italy, Mexico and Uruguay participated. Argentina took back the men’s title, and Spain won the women’s. The finals were played at Place du Capitol, in Toulouse. The 2002 Championship took place in Mexico City, at Club Lomas Sporting. The national teams of Argentina, Austria, Brazil, Canada, Spain, the United States, France, Italy, Mexico, Paraguay and Uruguay took part in the competition. Argentina defeated Spain in both men’s and women’s categories. Mexico and Brazil came in third position in women’s and men’s categories, respectively. Argentina held the 2004 Championship, this time at Hindu Club Don Torcuato, in Greater Buenos Aires. Argentina, Austria, Brazil, Canada, Chile, Spain, the United States, France, Italy, Mexico, Paraguay and Uruguay participated. Argentina came at the top of the podium, followed by Spain and Brazil, in both men’s and women’s. Spanish player Iciar Montes won the doubles title for the fourth time, having played with four different teammates: Araceli Montero in 1998, Carolina Navarro in 2000, Neki Berwig in 2002 and Paula Eyheragüibel in 2004. In 2006, the Championship came to Murcia, Spain, this time including fifteen national teams: Germany, Argentina, Austria, Belgium, Brazil, Canada, Chile, Spain, the United States, France, Italy, Mexico, Paraguay, Portugal and Uruguay. Argentina won men’s and women’s title, followed by Brazil in men’s and Spain in women’s. Calgary (Canada) held the 2008 World Championship. Fourteen teams played: Argentina, Belgium, Brazil, Canada, Chile, Spain, the United States, France, Great Britain, Italy, Mexico, Portugal, Switzerland and Uruguay. Spain and Argentina won in men’s and women’s respectively. Brazil came in third in both categories. The 2010 World Championship took place at Hotel Palladium, in Riviera Maya, Mexico. Argentina, Brazil, Canada, Chile, Spain, the United States, France, Great Britain, Italy, Mexico, Paraguay, Portugal, Switzerland and Uruguay made up the fourteen teams. The podium was formed by Spain, Argentina and Brazil, both in men’s and women’s. In 2012, the Championship returned to Mexico. Hotel Aventura Palace (Cancun) was the venue. Argentina, Brazil, Canada, Chile, the United States, Italy, Mexico, Paraguay, Portugal, Sweden, Switzerland and Uruguay were the participants. Argentina won the titles in both categories, followed by Brazil. Paraguay came in third in men’s and Portugal in women’s. The 2014 edition took place in Palma de Mallorca, Spain. Argentina reclaimed the men’s title, while Spain won the women’s. Germany, Argentina, Belgium, Brazil, Canada, Chile, Spain, the United States, the Netherlands, Italy, Mexico, Paraguay, Portugal, Sweden, Switzerland and Uruguay set a new record of participation (sixteen teams). Argentinian-born Juan José Mieres claimed his third doubles title for Spain (with David Losada in 2008, Guillermo Lahoz in 2010 and Matías Díaz in 2014). We must mention the World Junior Championship, held in La Plata, Argentina (2000); Mexico DF, Mexico (2001); Madrid, Spain (2002); Curitiba, Brazil (2003); Badajoz, Spain (2004); Buenos Aires, Argentina (2007); Sevilla, Spain (2009); Melilla, Spain (2011); Buenos Aires, Argentina (2013); Mexico City, Mexico (2015). Regional tournaments (continental, subcontinental, Pan-American, South American, European…) are also an important part of our history. Traditional organising countries (such as Argentina, Spain and Mexico), but also Brazil and Uruguay in the Americas, and Belgium, France, the Netherlands, Italy and Portugal in Europe, have held these events. The first European Championship among national teams was played in 1995 at Milano Marittima, Italy. Only three countries participated: Spain (champion), France (second) and Italy (third) in both men’s and women’s categories. The following European Championships were held in Barcelona, Spain (1997); Waterloo, Belgium (1999); Sabadell, Spain (2001); Aix-en-Provence, France (2003); Bologna, Italy (2005); Seville, Spain (2007); Estoril, Portugal (2009); and The Hague, The Netherlands (2015). North American Championships, started at the end of the 20th century, have included Mexico, Canada and the United States (Tri-National Cups). In December 1993, in Acapulco (Mexico) only men’s teams participated. The following championships took place in Calgary, Houston and Mexico. South American Championships have started very recently, with only one tournament held in Bentos Gonçalves (Brazil), even if some reports shown the celebration of a South American Championships in Montevideo, Uruguay, in the 1989. Junior Pan-American Championships started in 2004 in Buenos Aires, followed by Brazil in 2006, Paysandú (Uruguay) in 2008, Argentina in 2010, Brazil in 2012, Mexico in 2014 and back to Buenos Aires in 2016. There are male and female players who make a living from our sport, training very hard everyday to deliver their best performance. Stadiums were filled up wherever they happened to be playing all these years. As was described above, there are memorable events at Lawn Tennis in Buenos Aires, the beaches of Punta del Este in Uruguay, Acapulco in Mexico, or the Spanish Costa del Sol. Players Associations are an active part of the “professional” activity. We could name several initiatives aimed at consolidating these associations already active since the origins of our sport. Several of these were taken in both South America and Europe, but they have lacked consistency or have been abandoned. There are two “episodes” of this story that must be highlighted: first, the agreement between Padel Pro Tour (PPT) and the Spanish Padel Federation (FEP) to include its trial tour into the official calendar of FEP in 2011, which had direct influence over the FIP, though it was limited to five tournaments; second, International Padel Federation’s (FIP) agreement with World Padel Tour (WPT) in 2013 to recognise its trial tour, its various categories, and include all of its tournaments in FIP’s official calendar, with the resulting distribution of points for the singles official ranking. In 2016, the International Padel Federation celebrated its 25 years of existence. Many names of international athletes, managers and figures from different sectors have been engraved in cups and trophies, books, photographs, newspaper articles, official documents and training certificates. We owe immense gratitude to all those who have made a contribution, in different capacities, to establish and develop this ambitious and forward-looking institution that nonetheless remains humble, remembering our origins and identity. Without our past, there would be no present and no optimistic outlook for our future.